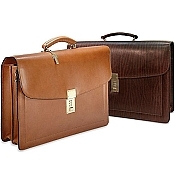 We offer handmade luxury leather briefcases with combination lock in styles that appeal to executives and professionals as well as well dressed men and women. 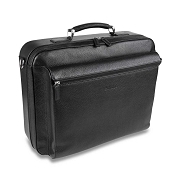 Our combination lock briefcases are handcrafted with superb fit and finish in the finest leathers by world class artisans. 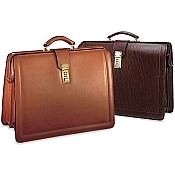 Buy handmade briefcases with combination lock personalized as required. 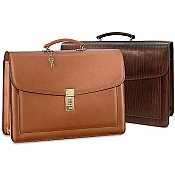 Pineider offers luxury Italian leather briefcases with combination locks in the renowned Power Elegance Collection with palladium hardware and also, in 1774 and Country leather goods collections. By special order, Underwood offers a unique combination lock made from solid brass with Palladium finish. 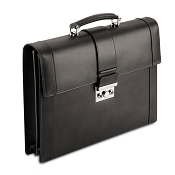 Jack Georges offers leather briefcases with combination lock are in the Belting and Platinum Special Edition collections.